The Remington 870 shotgun is possibly the most popular pump shotgun in Canada. It is popular world wide for self defense, law enforcement, target shooting and collecting. It comes in many variants and we look forward to setting you up with the one that best suits you. 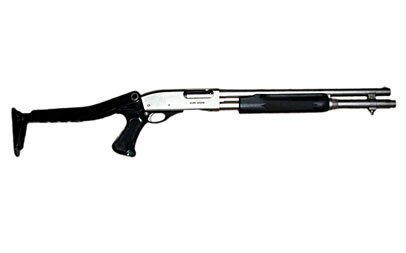 This is an amazingly reliable and versatile shotgun that is available in Canada. It comes in many different model variations including: the Remington 870 Wingmaster, Remington 870 Express, Remington 870 Marine (intended for boats) and the Remington 870 Police (made for law enforcement). We will have a complete line of remmys for sale as soon as we can.. I hope you want to buy them from us in Canada because as we will be selling shotguns to suitable, PAL or FAC holding buyers. Remmy 8-70 with shells on side. Model 887: The Remington's Model 887 is a great gun. The Model 1100 is similar to the Model 11, the Browning Auto 5 and is great for fowl hunting. It has low recoil and it is one of the most popular guns in Canada. 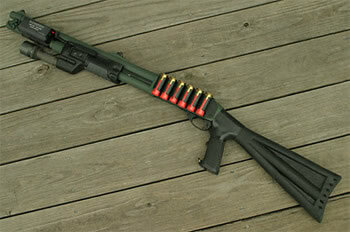 It is a gas operated semi-automatic shotgun that comes in a variety of gauges. The Remington 1100 has a place in my gun collection. Probably the best selling autoloader in canada. Model 1100 will have its own page soon. The Remmy 11-87 was produced in 1987 and is based on the Remington 1100. This gun is sometimes referred to as the Remington 1187. Read more about it here. We will be an authorized remington dealer in Canada as soon as we are able to, so be sure to bookmark this page and check back often! The most popular shotgun in Canada and the world deserves more coverage and we will have it for sale soon. See also the Norinco HP9-1, which is a Remington 870 knock off. Our complete review of the Remington line of shotguns is coming soon.